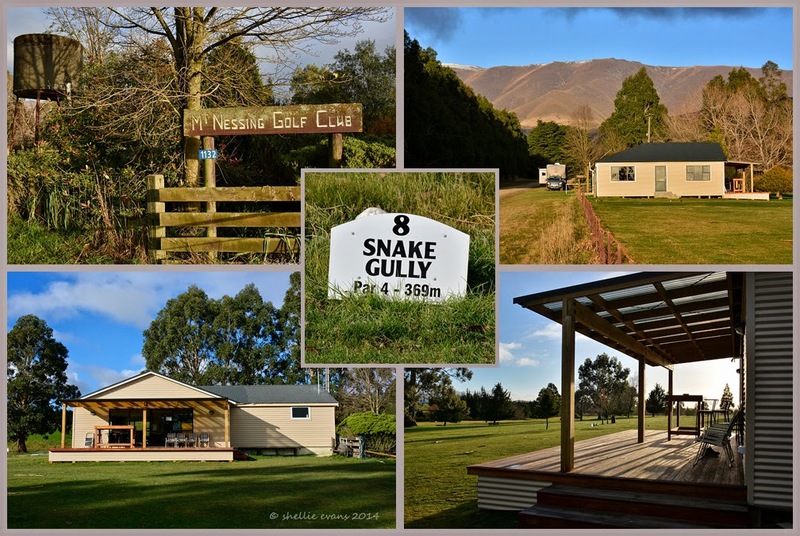 As mentioned in the previous post, we received a surprise invitation from Dusty, one of the Mt Nessing Golf Club members, to have dinner & stay overnight on his farm after golf on Sunday. 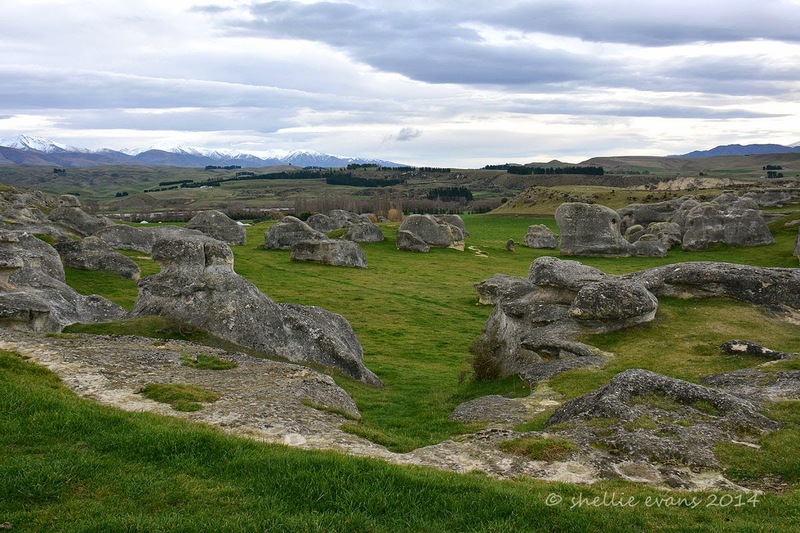 After hearing that we’d followed the Vanished World Trail he also offered to take us to see the historic Maori paintings that are located on the farm. After golf we packed up and headed for Albury Park Station about 20kms away, we arrived to find Dusty shifting a flock of sheep near the farm entrance. And in typical country folk style we sat in our vehicles having a good yarn to each through the driver windows. It was just as well we moved on when we did though as around the next corner, in the middle of the road, came a speeding SUV that just about lost it in the gravel when he spotted us. Had he been 30 seconds earlier he would have ploughed into both of us. Dusty sent us up his drive and told us to make ourselves right at home, find a spot in the yard behind the house and he’d be up soon. Just after we arrived another vehicle arrived and out of the car came Dusty’s lovely wife Kate & three of their children, Thea, Joe & Willy who all made us feel very welcome. We met the oldest son, Jack, later in the evening when he arrived home from a weekend away at the Queensland Winter Festival. Dusty arrived soon after to take us to the paintings. We also met Friday, the family dog, a sweet & highly energised three year old foxy. Friday was all over me, most probably because I made a big fuss of her. She bounded & sprung all over the yard as we got ready to go & as soon as she saw that we were making our way to the ute she launched herself into the cab through the drivers door and peered at me through the window- “this is my seat” she was telling me, she moved aside to let me in and then promptly sat on my lap waiting to go. 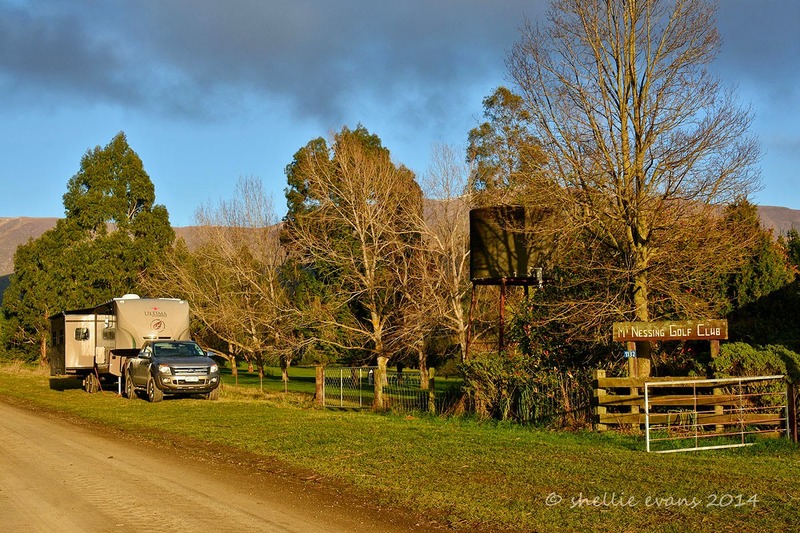 I think I got the better deal though, I was going to share the cab with a zippy little foxy while David had to share the chilly late afternoon air on the ute deck with the two farm dogs. All the while that we were driving, Friday ran back & forward across me & Dusty yapping with excitement, settling for all of 30 seconds at a time, half on the door arm rest and half on me before she was off again. Friday might be the family dog but she clearly adores Dusty & I suspect she is Dusty’s constant companion on the farm. 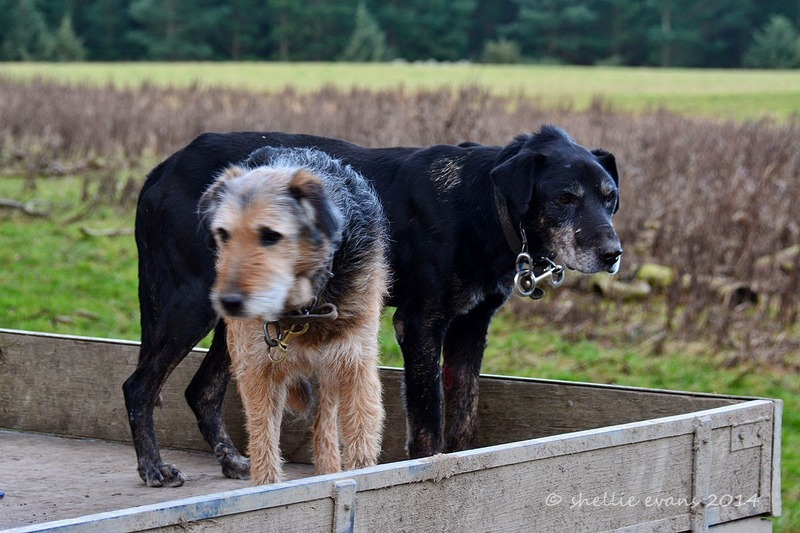 The farm dogs look pretty quite here but one still managed to move when I went to take a shot. 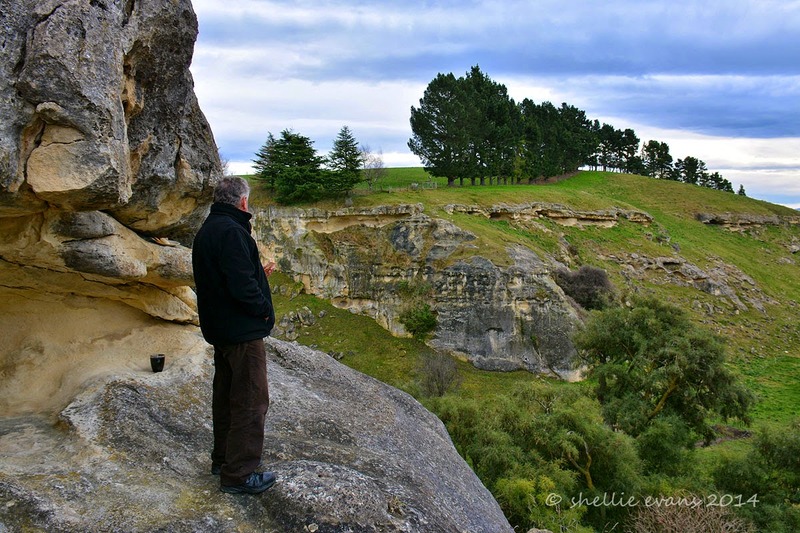 We drove back out onto the road and then through a number of paddocks and up a long valley with the river on one side & limestone cliffs & rock formations on the other. 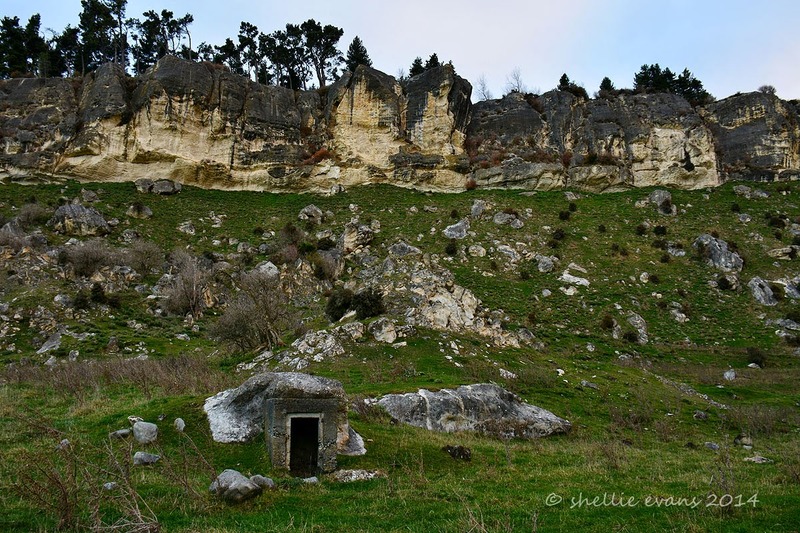 A long time ago the rock was quarried from these cliffs and the little concrete shed was thought to be where the dynamite was stored. The paintings were located under the rock (top left below) in the dark alcove. They have been authenticated by the right people. The paintings looked like a bird of some sort, one looked like it had a platypus bill. 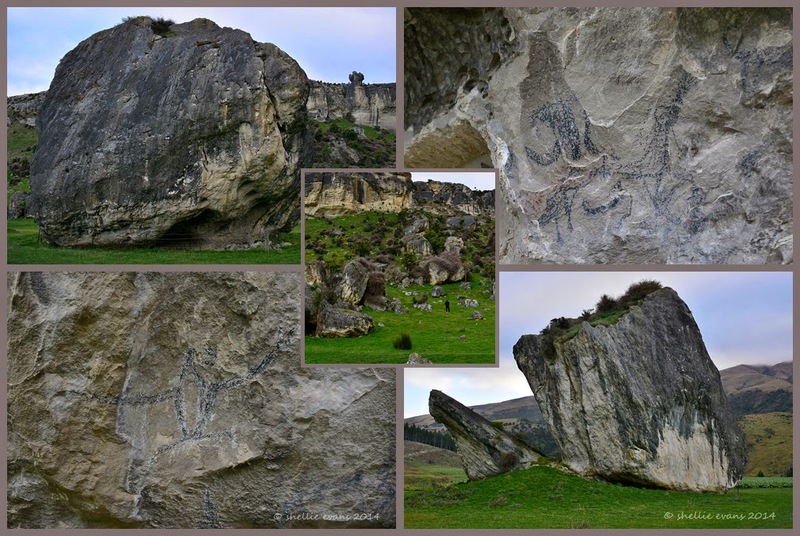 It’s thought that Maori used the valley to hunt & trap moa. The moa were herded up the valley and into the swamp that lays along the base of the cliff (it’s still there today). The moa then became trapped in the mud and were easy targets. And in fact later in the evening Dusty showed me a lower leg bone from a moa that he found when part of the swamp was reclaimed some years ago. It was massive, with three large knuckle rounds where the foot would have joined. Once stuck in the mud the upper part of the moa would have been removed leaving his lower legs in the mud; no meat on them. Makes sense! Even though Dusty said Friday would soon find us when we started walking back, we didn’t want to start without making sure she was somewhere near. She had returned a couple of times to check we were still there & then disappeared high up the cliff again. After shouting & whistling for an eternity she finally made another fleeting appearance before she was off again. At least this time she knew we were moving. 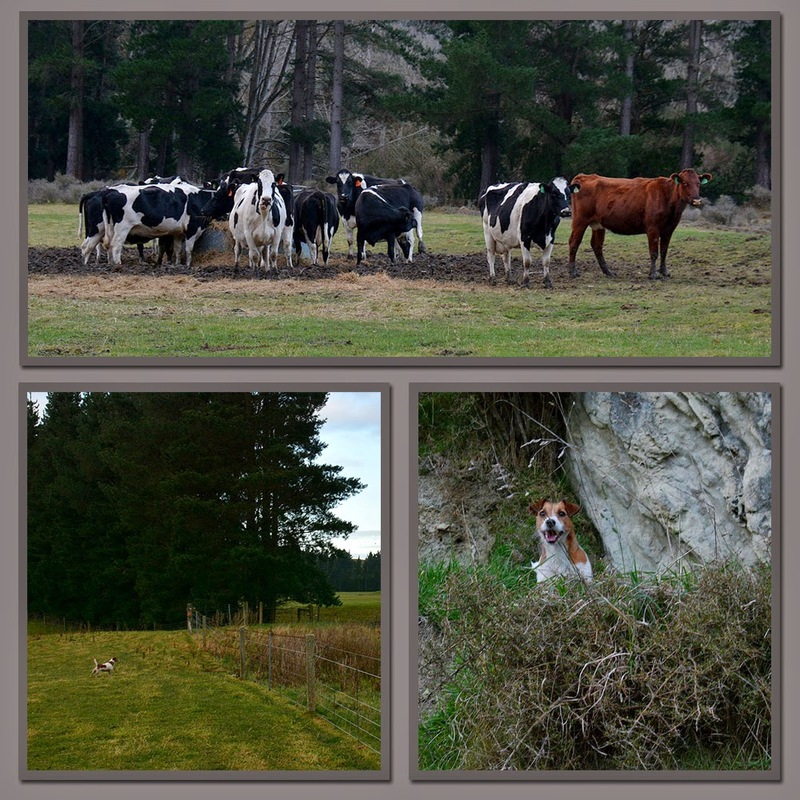 The cows nearby kept a weary eye on her as she went flying past and the only time I saw her stop at all was in the bottom left photo when she pulled up fast and set about barking madly at the rock over the fence. It wasn’t until we walked down the tree line to the gate & then back up to the rocks that we saw a couple of horses sheltering behind the rock. So that was what Friday was barking at. All the way along the bottom of the rocks I was looking for the small cave that Dusty had pointed out on our way past. This was where the other painting was, but I’ll be darned if I could find it. By the time I realised we must have passed it, we’d walked the full length of the valley and were heading for the road just as Dusty drove back in to collect us. So back up the valley we drove until Dusty pointed out the cabbage tree. Of course! I forgot to look for the cabbage tree. The second painting, a red ochre one this time, was in the small cave to the left of the cabbage tree. Back home & freshened up, we had a fabulous evening dinner with the family, a very welcome & tasty roast lamb that Dusty had cooked while Kate had prepared the rest of the dinner. My oven is too small & it takes too long to do a decent roast in the van, so this meal was very much appreciated. And a lovely steamed pudding for desert, just like the one my sister & I used to make for our family on the farm. The Mould family showed us such wonderful hospitality, this is what Kiwis are renowned for and now we’ve been on the receiving end. Thankyou Dusty & Kate, and family, for making us feel so welcome. It was a privilege & a pleasure to meet such lovely people. 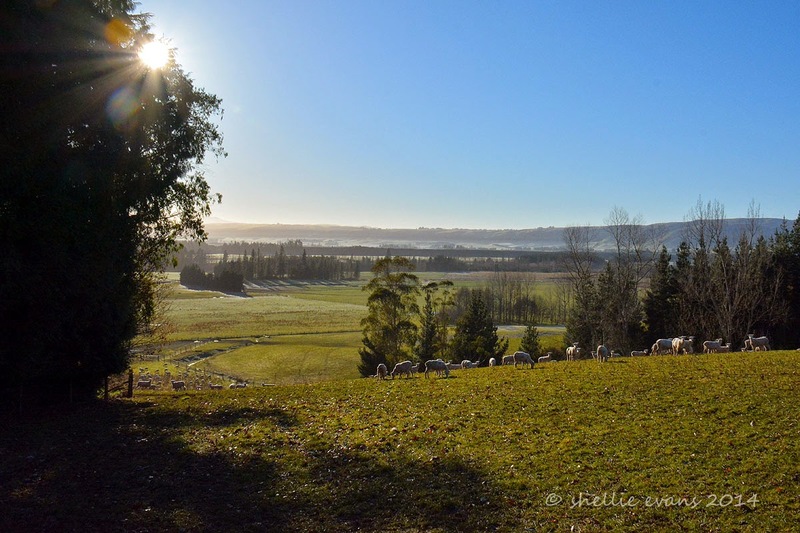 The next morning we woke to a heavy frost, I walked out to the paddock behind the house to get a shot of the sheep & the sun filled valley below the house. 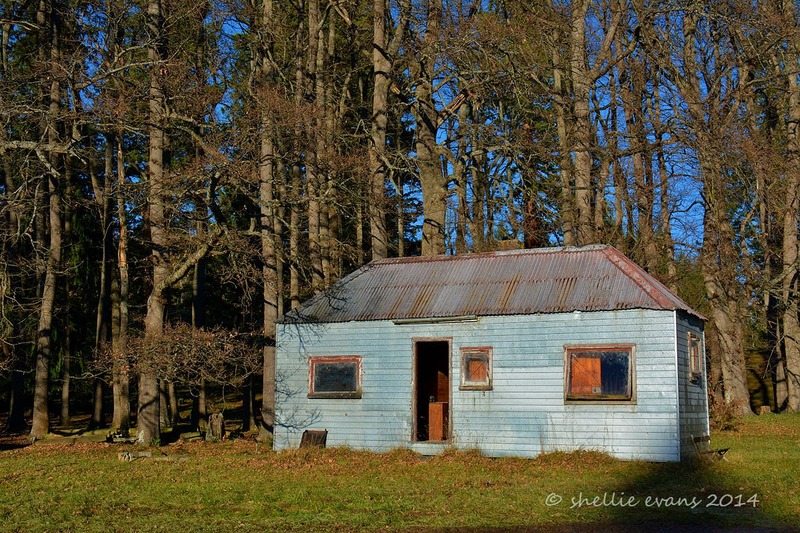 We packed up and said our goodbyes, Friday escorted us off the property but not before we stopped at the farm buildings down below to get some water and for me to take a shot of the old farm workers hut. And so that was how we came to be driving out the Albury Park Station gate. Another great experience to add to our list. 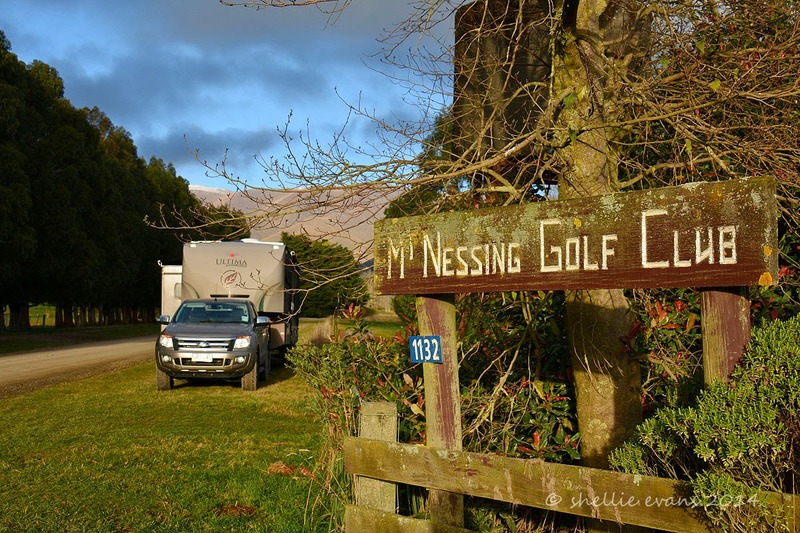 It’s taken 18 months but now, at long last, we are heading to my “new” golf club, Mt Nessing, to have a game of golf and meet some of the members. Mt Nessing is inland, about 40 minutes from Timaru, just east of Fairlie and very near Albury. 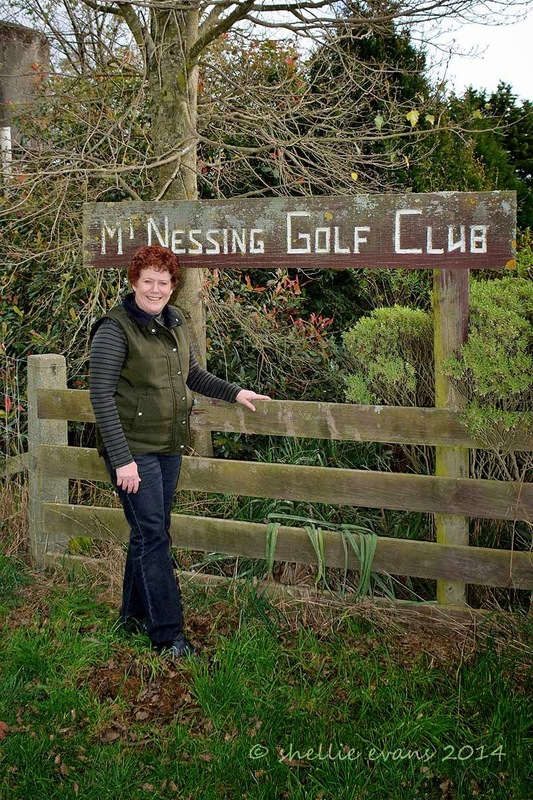 And why am I member of this rather obscure (sorry Mt Nessing) golf club? 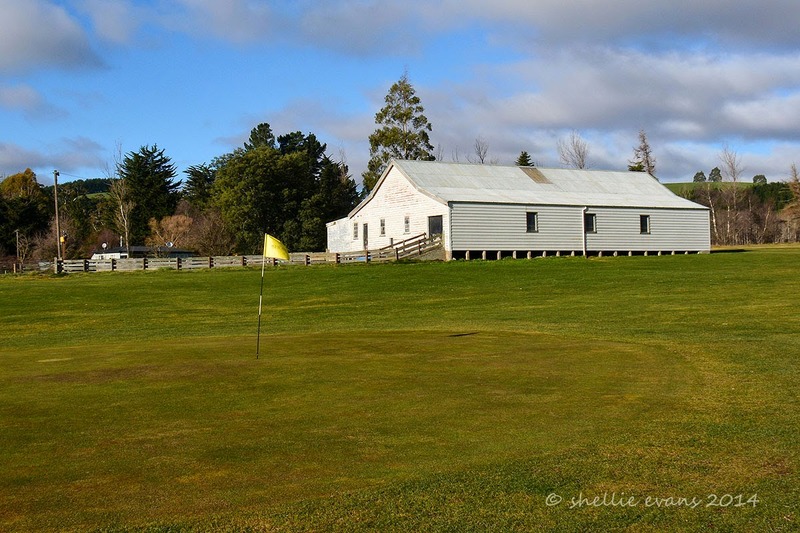 Because I wanted to keep my NZ Golf handicap running while I am travelling, because I can play at other clubs as an affiliate member & because Mt Nessing has the lowest subscription fees in the country. Unfortunately the associate subscription fees at my old club were nearly six times the cost of Mt Nessing so it made sense (cents) to join Mt Nessing. 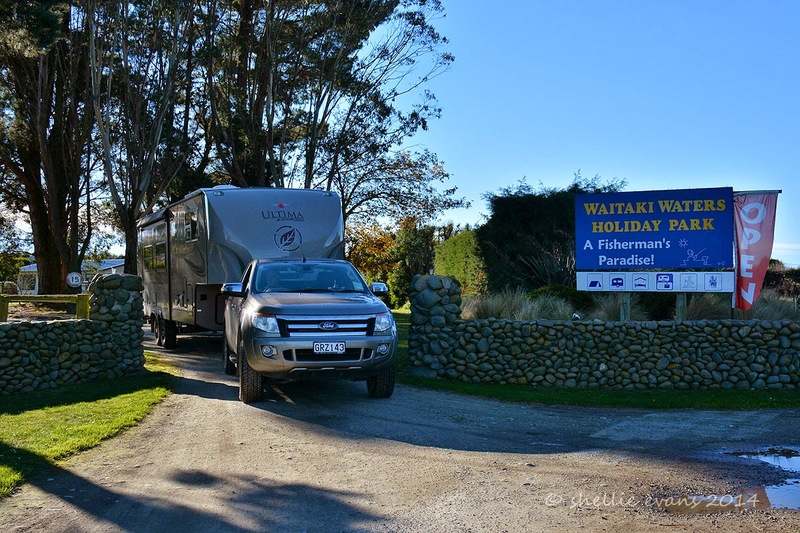 We left Waitaki Waters Holiday Park after a most enjoyable stay, I’d highly recommend a stop there if ever you’re in the area. Derek runs a great ship, with neat & tidy grounds & buildings. Although I found it a little bit disconcerting sharing the “winter ablution block” with men. Crikey you never know who’s in the shower next door to you, one morning after quietly showering & making sure everything was covered & contained when I emerged, I had a great laugh when it turned out to be David next door! 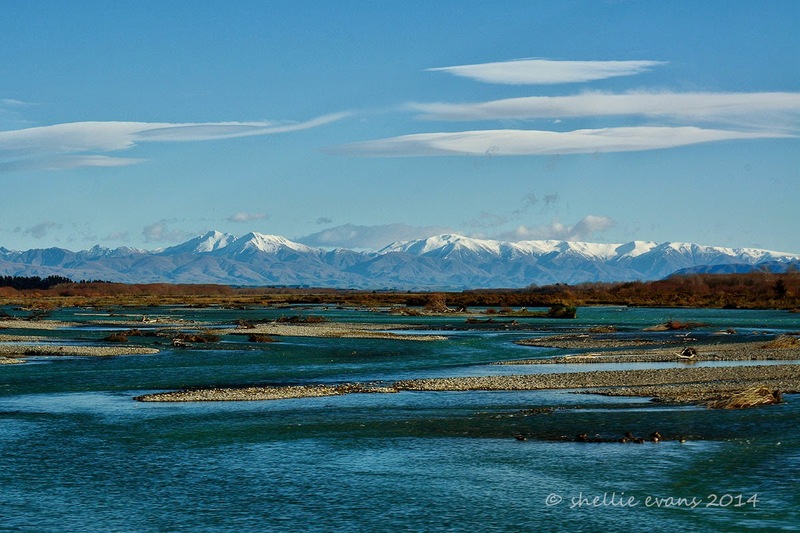 It was another lovely winter’s day and we could see the Southern Alps as we crossed over the Waitaki River again, heading north. We stopped to have lunch in St Andrews, at the well known art deco Masonic Hotel on the main road. 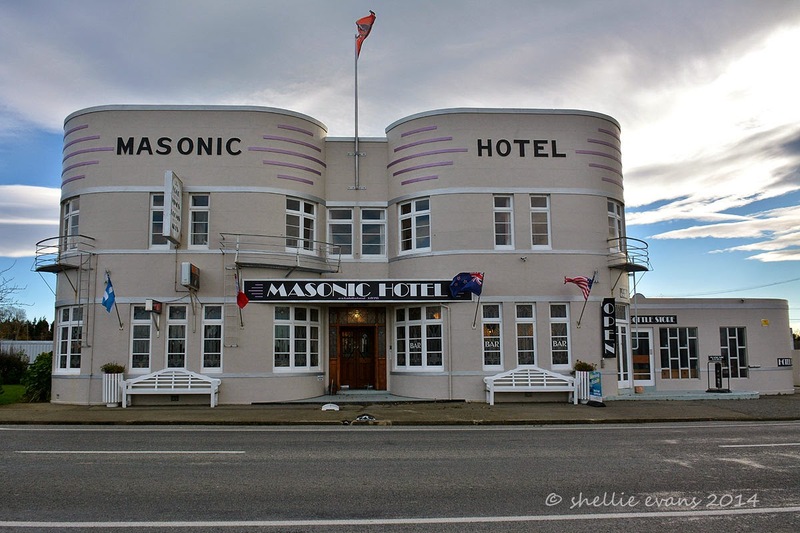 This hotel (and its name) would have looked right at home on Emerson Street in Napier, the Art Deco Capital of the world (and my home town). And what a treat it was, we had a good chat with the landlady, who with her previous partner, had spent over half a million dollars restoring the hotel back to it’s former glory. Inside, the wooden panelling was perfectly finished after having years of grime & black paint removed. The reworked leadlight windows were beautiful with some amazing detail, especially the curved corner windows. 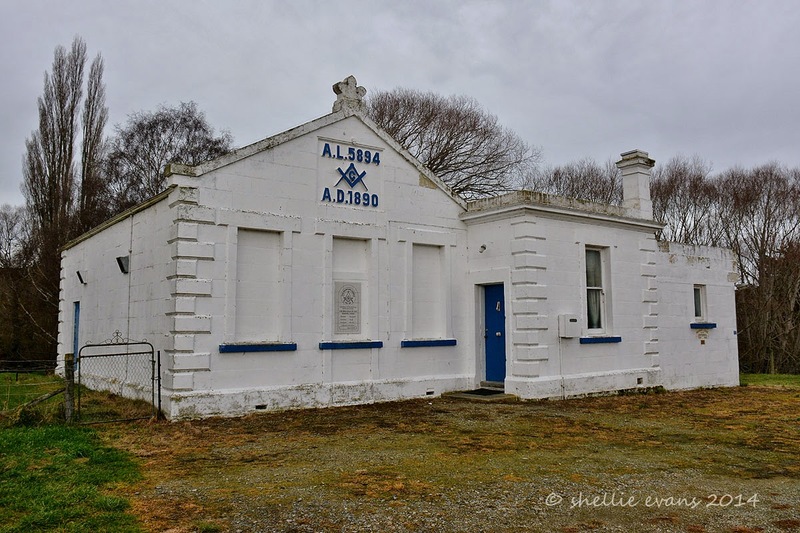 The Masonic is also a POP (Park over property) for NZMCA members, there’s a huge back yard for parking and soon there will be a laundry & showers/toilets. We turned inland just past St Andrews, heading for Cave. Through flat farmland at first and then just before the hills, to our surprise, a sharp turn and a choice between an old bridge or a ford. But more of a surprise was that it was called Evans Crossing (no time to stop for a photo). We chose the ford, along with another vehicle coming the other way. The car in front of us chose the bridge. 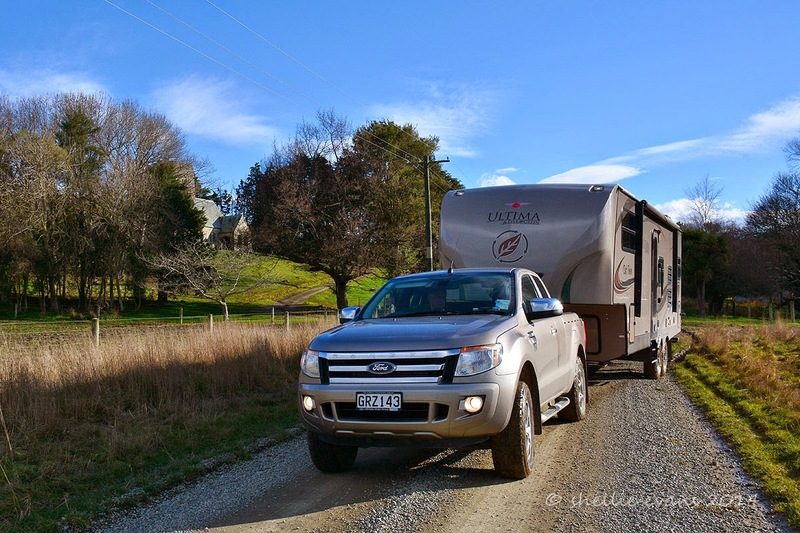 This wouldn’t usually be that unusual but all the fords we’ve crossed in our travels have been on remote gravel roads and this road was quite a well used route. We climbed up and through the Pareora Gorge then dropped back down to the river flats. Then just before Cave I spotted a sign for a historic church up a side road (I’m still taking church photos for the Historic Places Trust). Too late for David to haul the rig up and turn around and by now we were climbing again. We turned around down at the cross roads and climbed back up the hill again. At the top I took a quick shot of this memorial stone, another beautiful piece of work out in the middle of the countryside. I also spotted a very tall celtic cross high up on top of a nearby hill. David felt obliged to turn around for this particular church, I wonder why…. 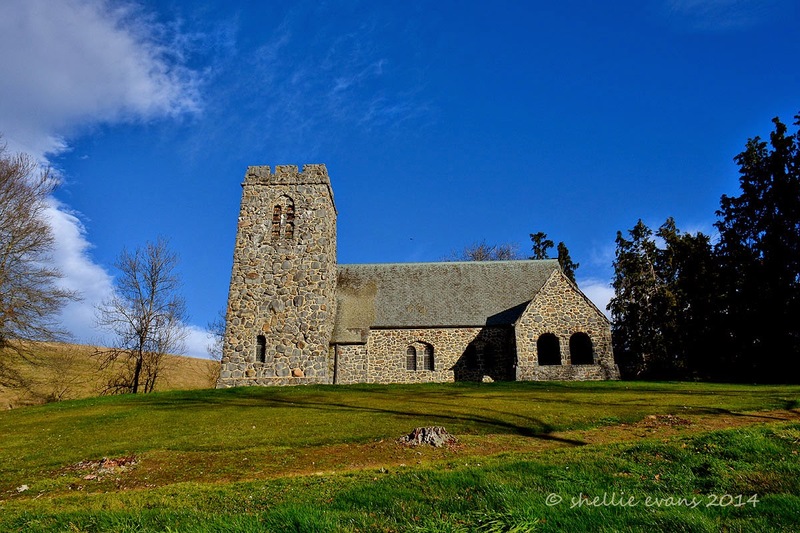 St David's Pioneer Memorial Church was erected in 1930 in memory of the pioneers, runholders, shepherds and station hands who developed the Mackenzie district into one of the major pastoral areas of New Zealand. This beautiful stone church was constructed without the use of nails. Oops……David wasn’t too pleased when he had to pull off the road to let a vehicle pass. We needed that ford again. After all the sheep, dairy, cattle, deer & alpaca farms we’ve passed on our travels we finally passed a pig farm between Cave & Albury. 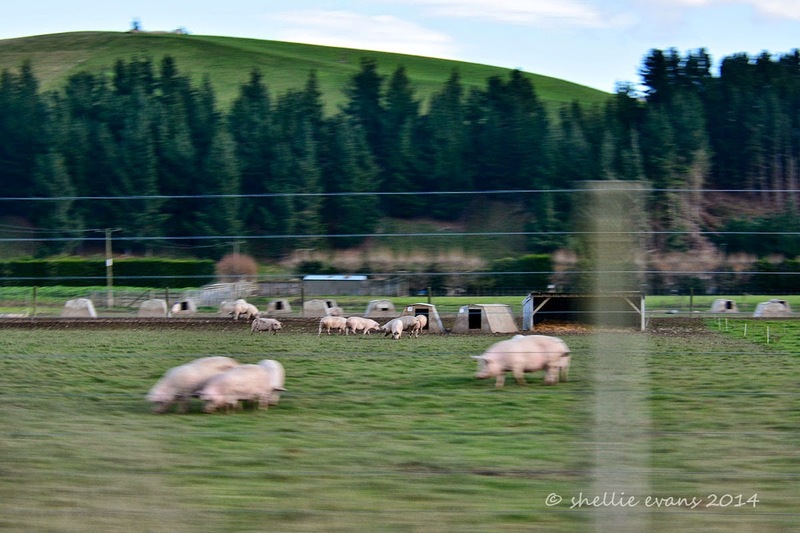 Happy free-range pigs with good shelters and plenty of grass & mud to enjoy. It brought back memories of my childhood on our pig farm. We pulled over at Albury to get our bearings & freshen up before we headed down a side road to Mt Nessing. 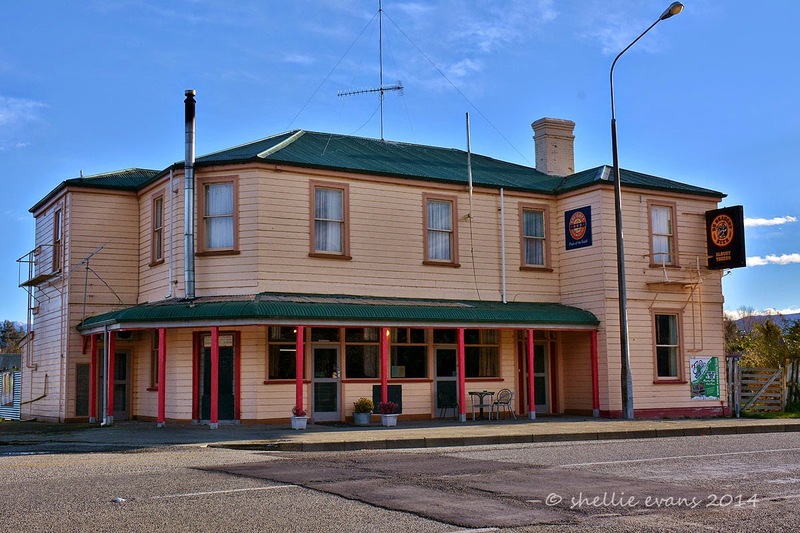 The Albury Tavern, another hotel that’s the centre of the community. We didn’t know it then but were told later that the chef here is well known for his fabulous meals & in particular his Thai menu. 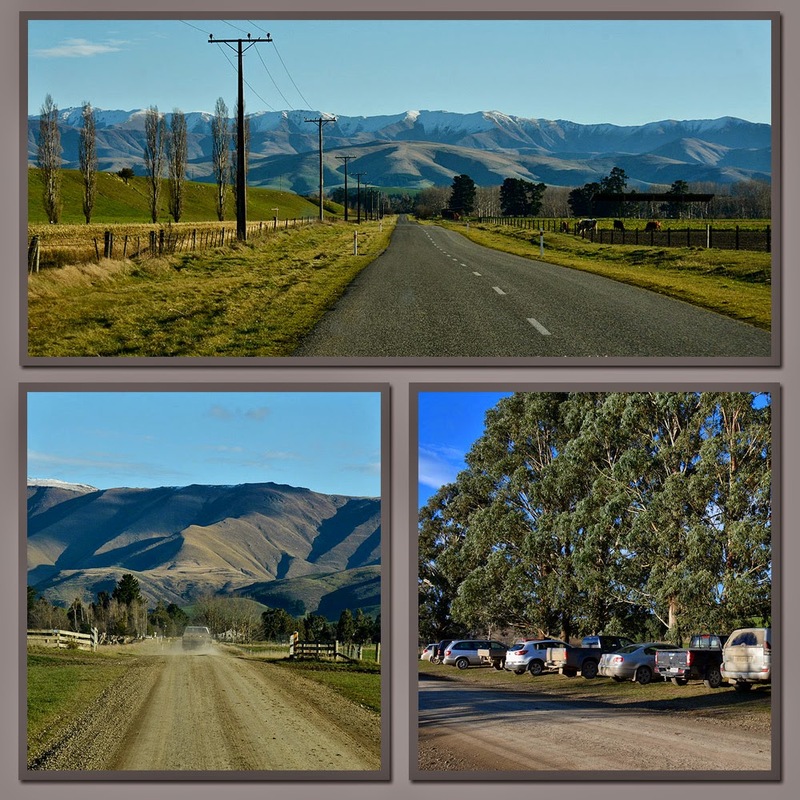 We turned into Mt Nessing Road and headed for the hills, The Hunters Hills of which Mt Nessing is part of. After 6 or 7 kms the road turned to gravel and before long we could see a row of dusty cars parked up and across the road the golf course. You'd never have a clean car out here in the country, if it's not mud it's dust. 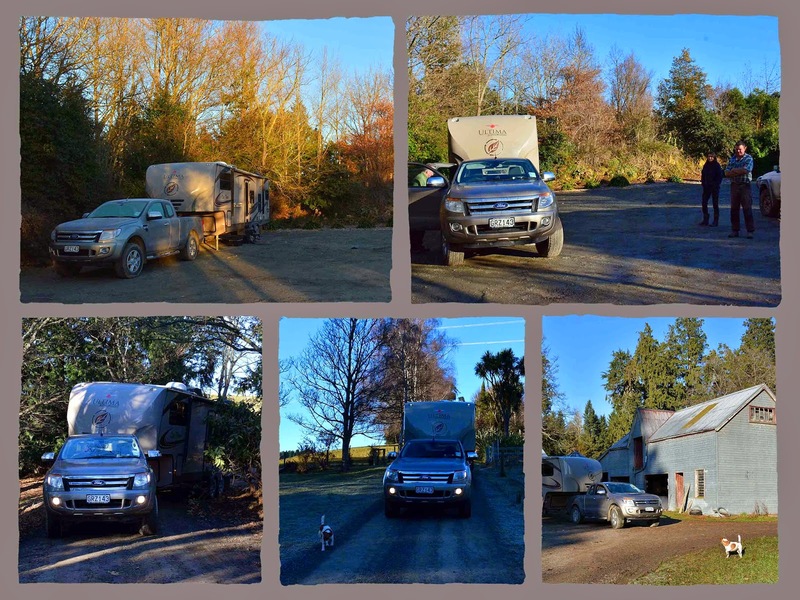 We felt right at home, our rig needed a darn good clean & it's been driving David mad for weeks! We travelled a little further on to find a place to turn around and then pulled onto the long acre beside the course. Immediately we were made to feel very welcome when Penny, the secretary who I have had contact with, came off the course mid game to say hello & to tell us to make ourselves at home while they finished their club day golf. Next came Noel, the course convenor to say we could pull the fifth-wheeler off the road through the gate and park up there if we wanted. We decided the grass strip outside would be fine, we didn’t want to add deep tyre grooves to the course! We set up camp while everyone finished their game & then we made our way to the deck of their brand new extended clubhouse to have a drink and watch the last players finish. There were about 20 golfers playing and they made us feel very welcome as they came in, introducing themselves and keen to hear about the fifth-wheeler & our travels. There was lots of friendly banter too, it was like meeting old friends. We were officially welcomed during the announcements & being a paid up member, I even got to have a vote on the new interior colour of the clubhouse. Although I suspect David got a bigger say in that than me. Before long we had an invite to come and share a roast dinner, after our golf tomorrow, at Dusty’s place! Not only that but to park “Out There” up at his place for the night. And that is how we managed to be parked up at Albury Park Station. After we’d said farewell to everyone & promised to come and play with them on club day next time, we had the road to ourselves for the night. Well nearly. It was pitch black outside except for the odd car that came barrelling down the road past us, lights on full flooding the interior. This was once the rugby test match had finished & the pub had closed no doubt. We were a little worried that they’d get a fright when they saw us and take out our slide out. Sunday dawned cold but sunny & we were woken by a whole lot of magpies having a meeting on the verge beside us. I’m sure one of them was also tap-dancing on the roof. Next came a hundred & one tractors & quad bikes, up & down the road they rumbled & roared, there's no Sunday sleep-in for farming folk. It wouldn't have surprised me if next I was to hear a whole heap of mooing outside the window. Time to have a game of golf. It was why we were out here in the middle of the countryside after all. We had the course totally to ourselves and what a lovely country 9-hole course it was. 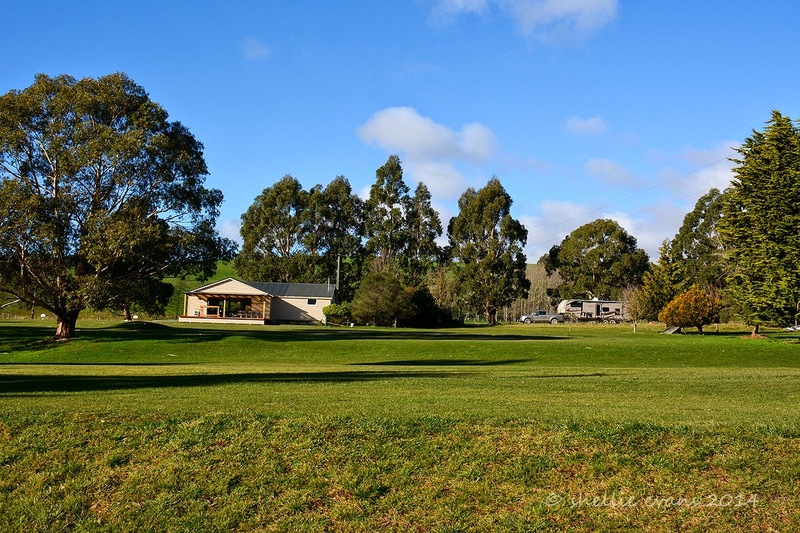 Very well maintained with well marked tees and all 18 holes named, and some great names too. 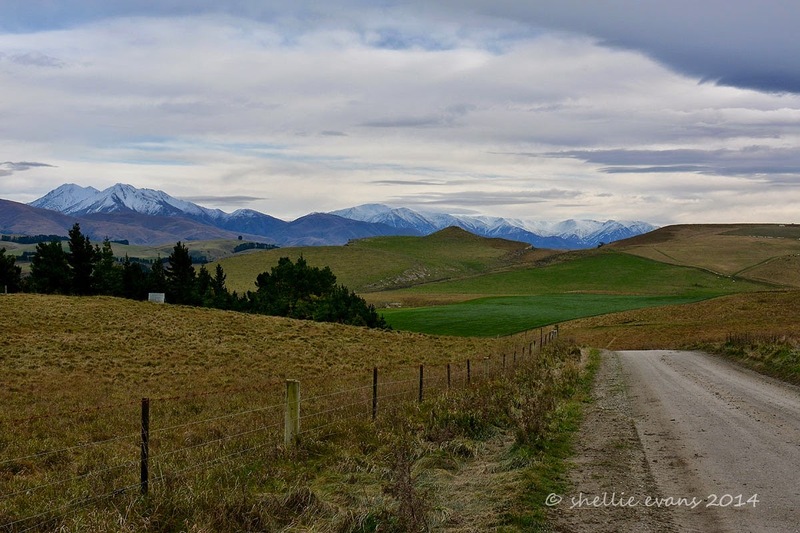 I was looking forward to playing number one as we’d been told yesterday there would have been a fine view of Mt Cook (Aorangi) if the cloud hadn’t rolled in and sure enough across the valley & far in the distance Mt Cook peeked out from behind the hills. Number 2, The Woolshed. 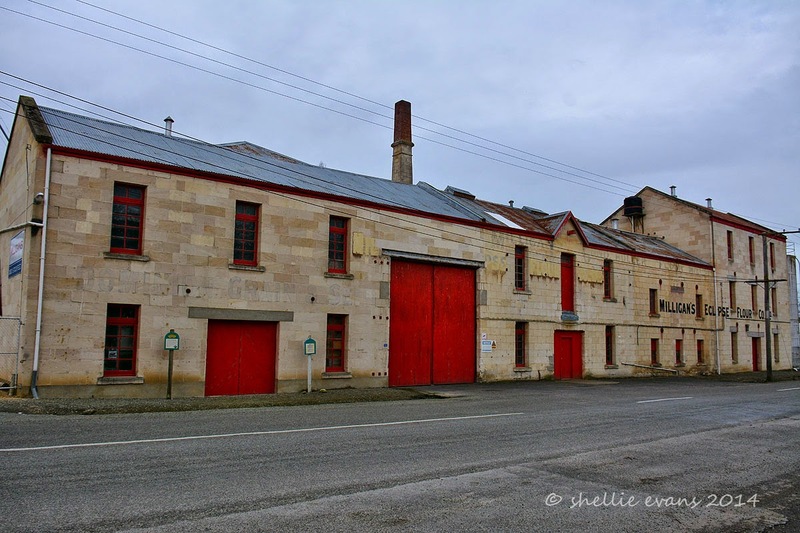 Mt Nessing Station’s woolshed sit’s beside the green. The course is located on station land and is grazed by sheep during the summer. The course closes earlier than most other clubs, in September and opens again in February. Spring & summer are busy times for farming folk. Initially we thought we’d be playing golf quite often while we were on the road but in fact this was only my 3rd game & David’s second. And although we thoroughly enjoyed our game, the results were nothing to write home about. A few good holes, a few average & more than two very bad. Never mind, it was a lovely to be out in the fresh air enjoying the sunshine. We didn't enjoy the mud that built up on our shoes and trundler wheels though. Thick sticky mud which took a fair while to clean off at the end so we could pack it all away clean in the storage box. And so that was that, we’d made the pilgrimage, played the course & met some lovely people. Thanks Mt Nessing for your hospitality & for making us feel so welcome. We’ll look forward to seeing you all again one day. 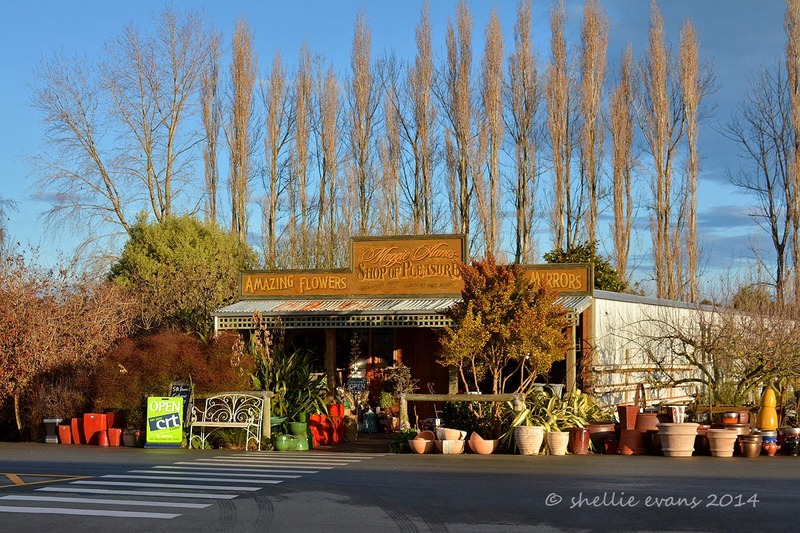 We left Waitaki on a tiki-tour, heading inland on SH83 & running alongside the Waitaki River towards Duntroon. 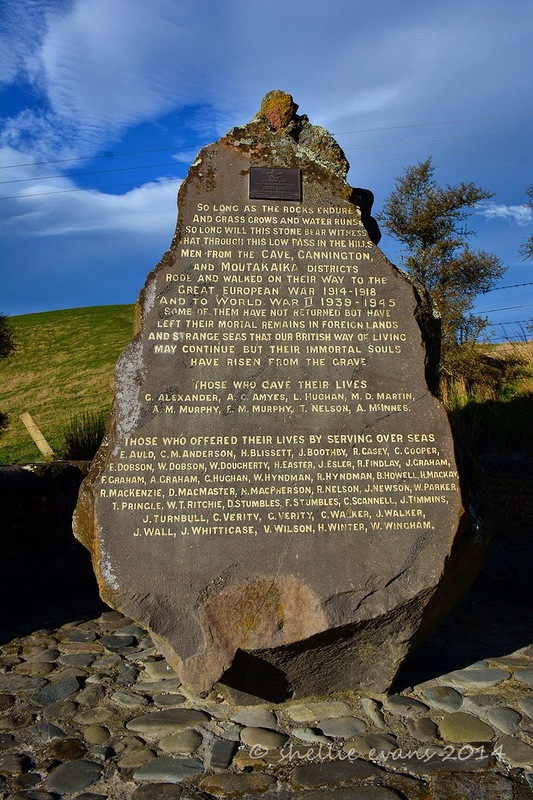 We wanted to check out another NZMCA site for next time we were through this way. This site is at Awamoko and looks like it was a former school or local sports reserve. It’s a large site with plenty of parking although not many would be able to pull onto the grass at the moment, it was boggy & very wet. The park is a little off the usual routes into the interior but would be handy if planning on driving Dansys Pass or heading to the McKenzie Basin & Mt Cook from the coast near Oamaru. One to keep for a future time. 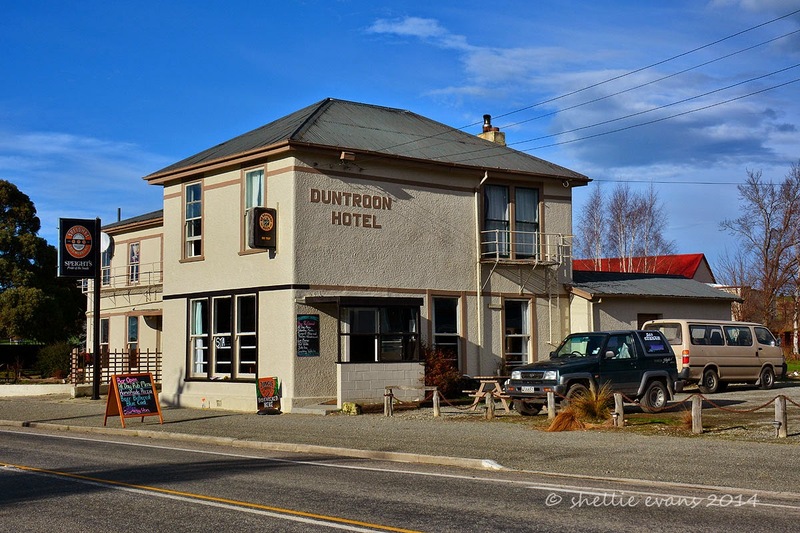 Next stop was Duntroon, another sleepy little settlement with a spruced up hotel at the heart of the village, very similar to many small country towns that we have come across on our travels. The Vanished World Fossil Centre is also located in Duntroon, just along the road from the hotel. 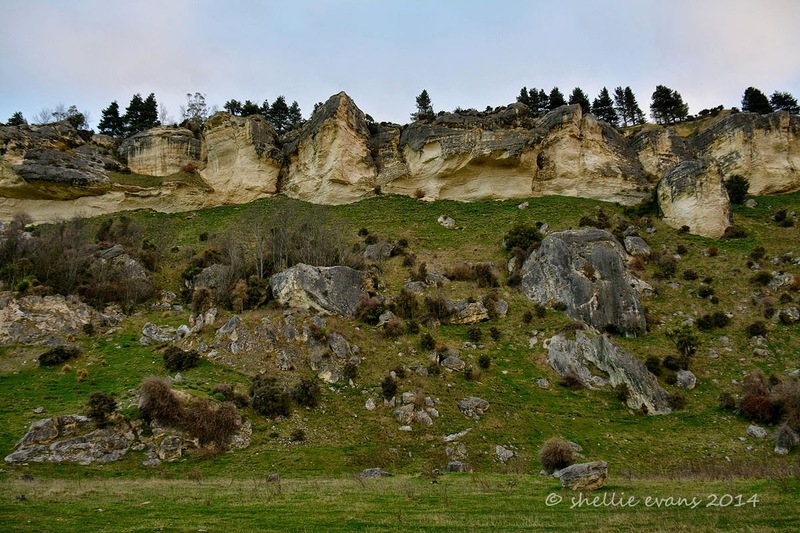 North Otago & the surrounding Waitaki District are renowned for their striking geological formations & landforms along with the amazing amount of fossils found in the area. 25 million years ago the land around Duntroon, now 400 metres above sea level, was the ocean floor. Extinct marine animals died & left their bones which were fossilised over time. The Fossil Centre was closed but luckily one of the members (it’s a Society) was doing some work out the back and was more than happy to pass on information & leaflets so we could follow some of the trail. We took the back road out of Duntroon headed for our first stop, Earthquakes. That’s right, a place called Earthquakes. 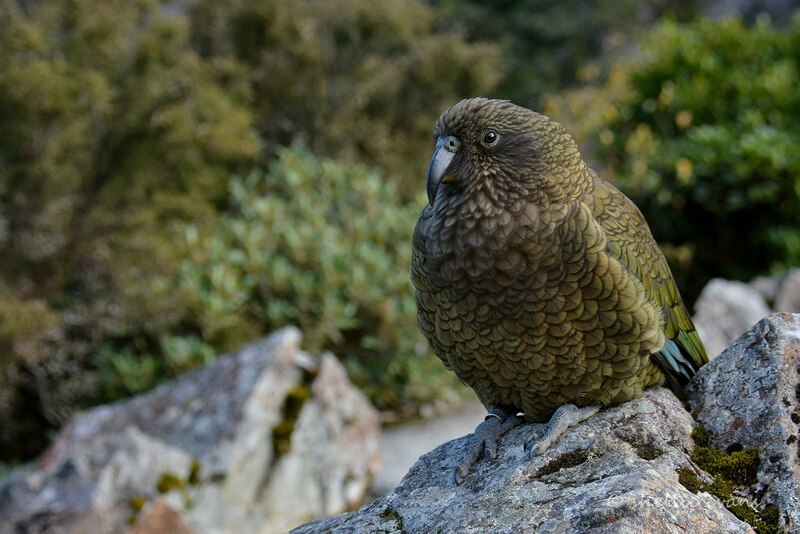 It was so named because it was once thought the large house size boulders in the valley we are heading to must have been dislodged by earthquakes but in reality, were split away when the land slumped thousands of years ago. 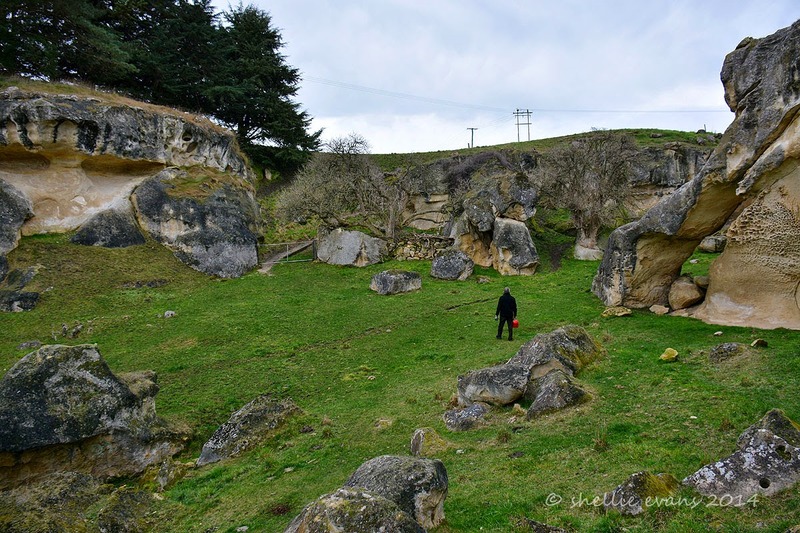 We found the first site, located in amongst rolling farmland, parked the ute and climbed up the track to a small valley with large limestone rocks that were scattered about like giant marbles. I’ve even included my little black stick man to in the photo below to give you an indication of the size of the rocks. Behind the metal screen was the fossilised remains of a baleen whale, it’s such a shame that if the fossils weren’t protected they would have been dug out long ago and dispersed around NZ & the world. It is likely that there are many more bones of this particular whale located within the rock and other fossils around the site. 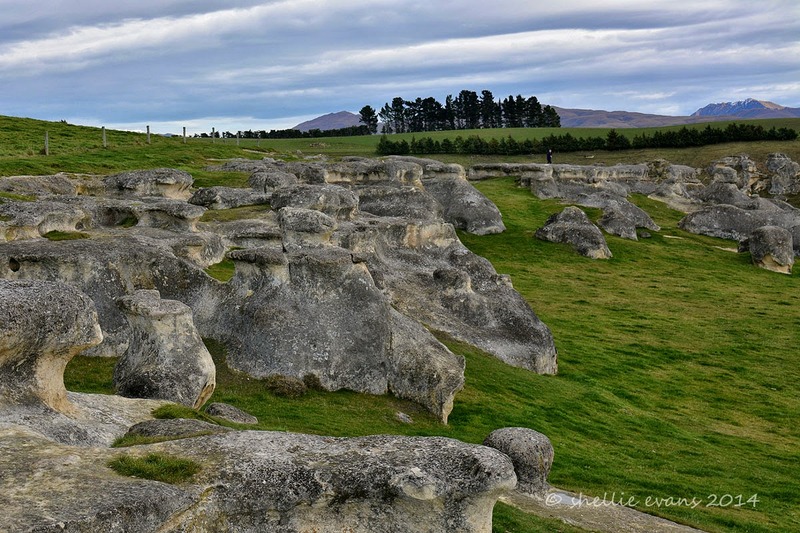 Just a few kilometres further on from Earthquake are the Elephant Rocks, an amazing collection of weathered limestone rocks in the middle of a sheep paddock. We could definitely pick out the Elephants along with various other animal forms. 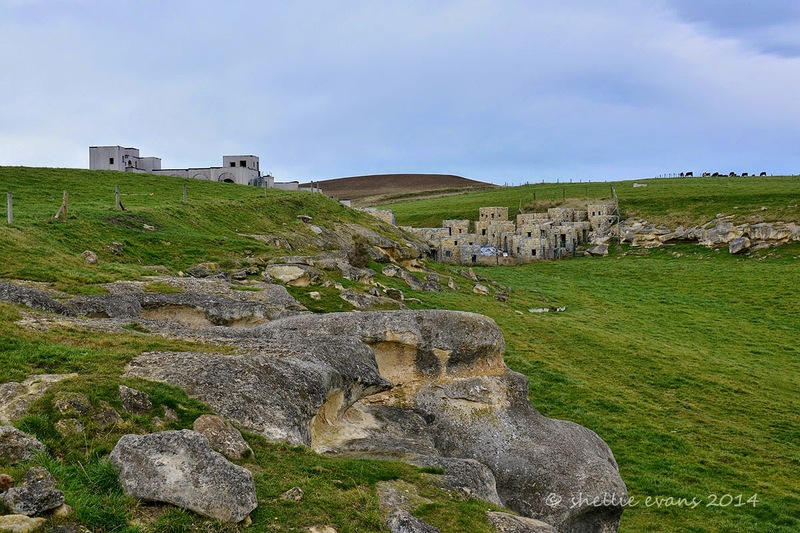 And what a surprise to find this little collection of buildings around the corner at the far end of the rocks, something not everybody that visited would see unless the walked to the far end. We found the rocks very interesting and being off the usual tourist route I’m sure not too many people know about them or would visit them. Next stop & just a couple of kilometres down the road was the Anatini Whale Fossil site, with another Barleen Whale similar to the one at Earthquakes. This valley was also used in The Lion, The Witch & The Wardrobe. 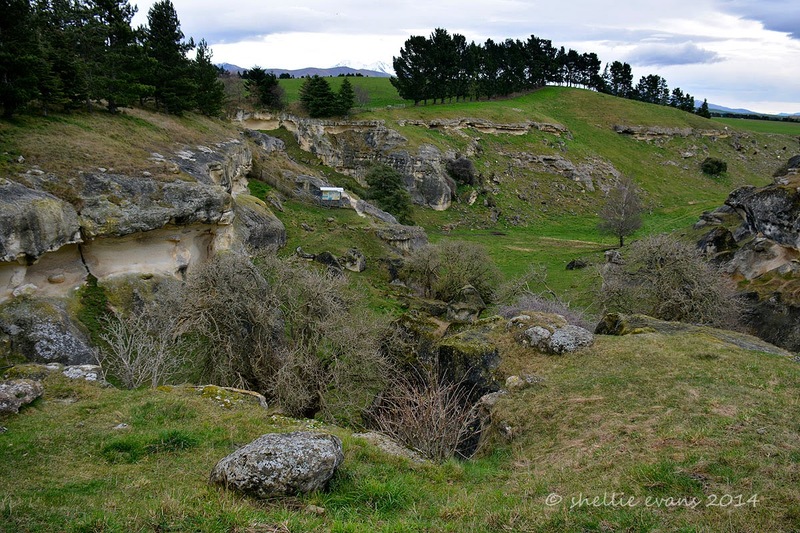 A short walk across private farmland led us to a small valley with lots of unusual limestone formations & rocks. A climb up a path led to the whale fossil which was under a scratched perspex cover this time and very hard to see. We were hoping for a sheltered spot where we could have lunch but the ground was muddy & covered in cow pats so we decided on a rocky ledge beside the fossil & overlooking the valley dotted with cattle and a river off in the distance. 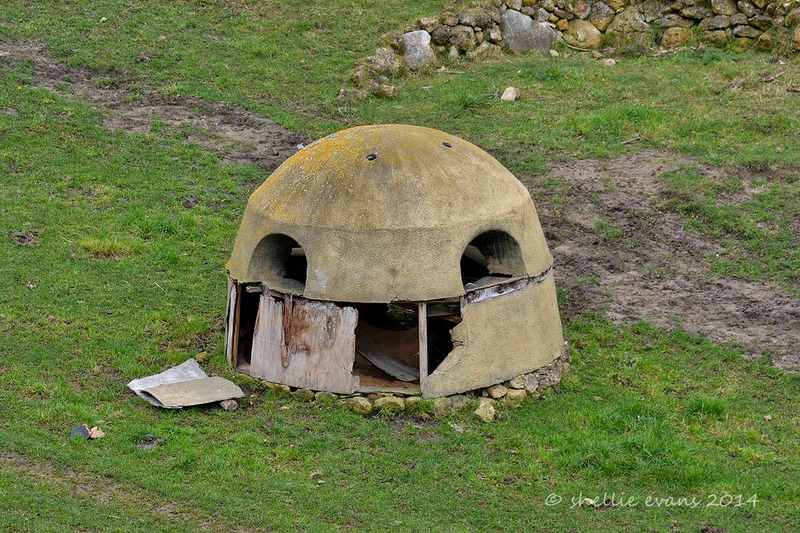 This was in the middle of the paddock below, we have no idea what it is, or was, but I’m sure it wasn’t from a movie set even though it looks a little like a Star Wars dalek. My little black stick man with red lunch bag; heading back to the car to escape the bitter cold wind. The day started out blue & sunny but was fast deteriorating. 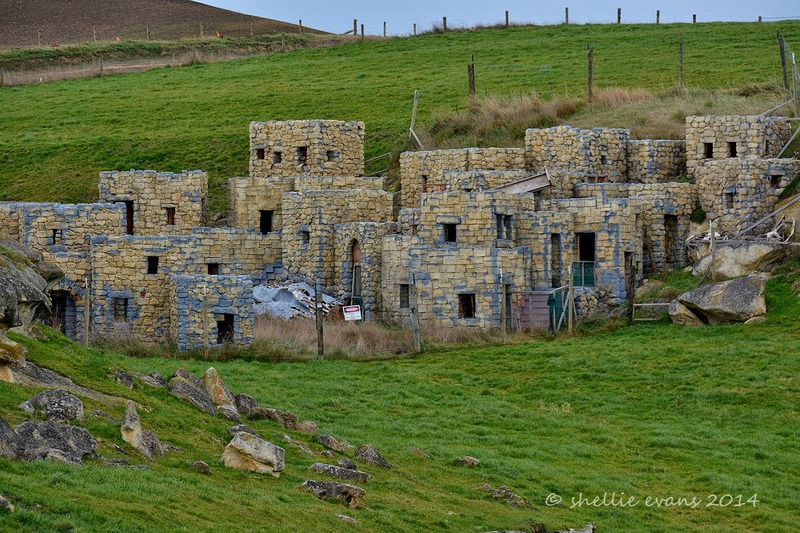 We’d had enough of fossil sites & weird rock formations by now so headed off in the direction of Oamaru via Ngapara, where we stopped so I could shoot this abandoned Lodge, built in 1891. Ngapara would have all of 10 houses clustered together in a cold shady valley along with this Lodge & the following historic flour mill. There really are some grand old abandoned buildings out in the countryside, it’s such a shame that their glory days are long over. In a weird coincidence, Ngapara (which I’d never heard of until this road trip) was in the news just a couple of days ago, and not good news either. A local sheep farmer had lost over 200 sheep that had been shot dead over two nights by an unknown person or people. 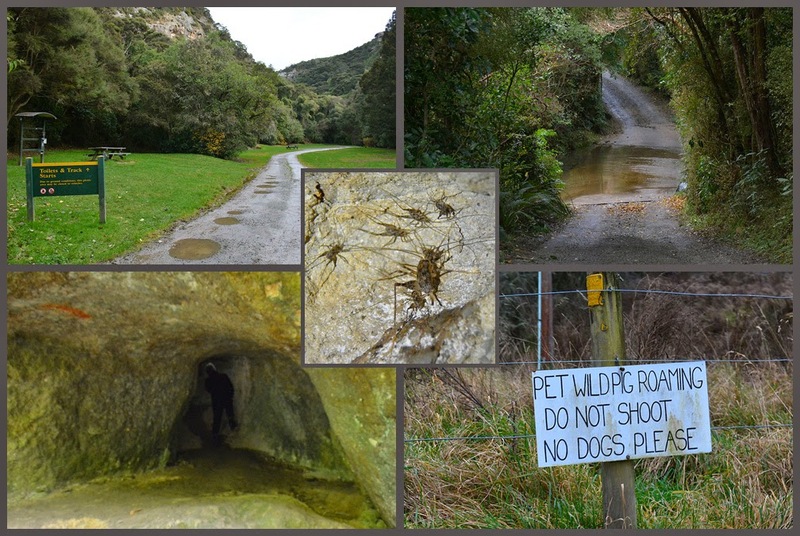 Sunday at Waikouaiti was overcast and very cold but we decided to take a drive to Trotters Gorge, a DOC reserve & camp site inland and about 12kms north of Palmerston. The camp was closed for winter but there were a couple of tracks to walk and caves to visit. There was quite a steep ford to cross at the entrance to the park, we wouldn’t have been able to get the 5th-wheeler in had we stopped here in the summer. The walk was average & the caves nothing to write home about, in fact they were a bit of a disappointment; very shallow more just scrapes in the limestone but there were a few cave wetas on the ceiling which helped with the interest factor. The best part was the sign on the fence near the entrance to the park. Pet Pig = Trotters Gorge...hmmmm. Monday morning we were up & on the road bright and early heading back into Dunedin to have the van looked at. As it turned out it wasn’t major, just one of the motors on the slide-out needing to be re-aligned. After our earlier issues David in fact knew more than our Dunedin contact & he was able to re-programme it and we were back on the road after an hour or so, hauling ourselves back up those long northern hills out of Dunedin and heading for Waitaki Waters Holiday Park, just north of Oamaru. 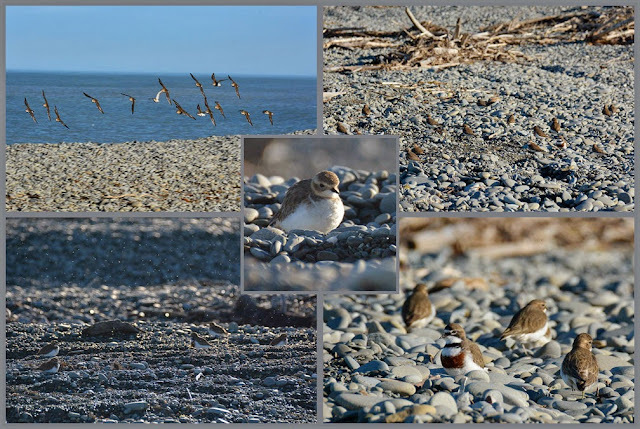 Waitaki Waters is located on the southern side of the Waitaki River & very near the river mouth. The river’s catchment area is second only to the Clutha River & includes the glacier fed Tekapo, Pukaki & Ohau Rivers along with many others. The river is famous for it’s huge sea-run salmon & trout fisheries. 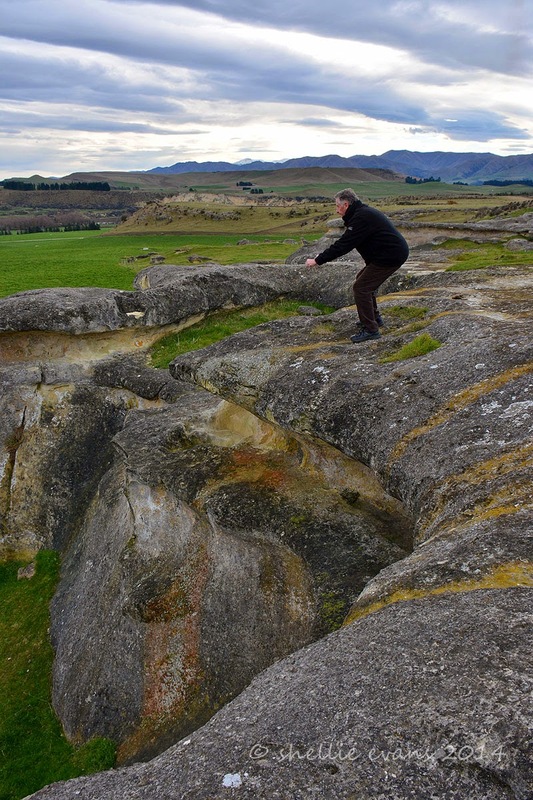 I found this photo on an article about fishing the Waitaki; pretty impressive eh? 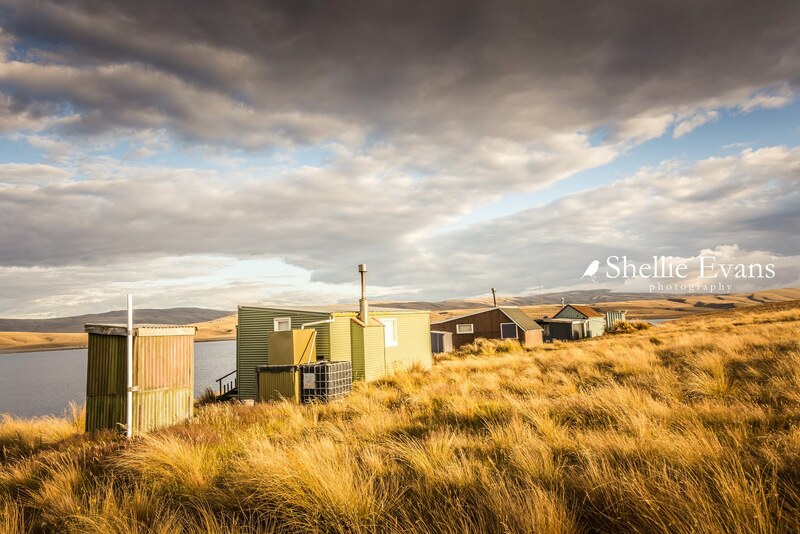 There are two fishing crib (bach/hut) villages near the mouth on the south side of the river and during the season the river and mouth are filled with fishermen both on shore & on water. 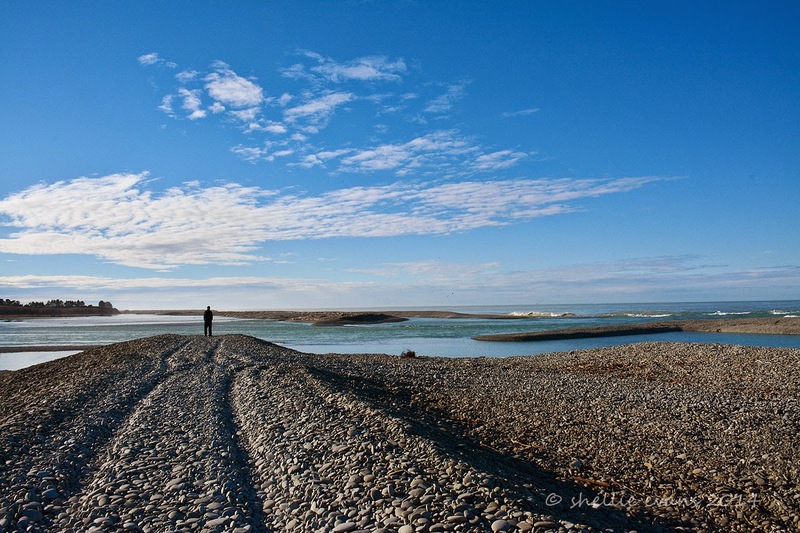 Jet boats & quad bikes are the transport of choice for many, it’s a long & hard walk down the shingle spit to the river mouth. During the whitebait season the gravel banks are lined with whitebaiters and their scoop nets. It’s a rough coastline along this stretch and there’s obviously a reef somewhere off shore as the driftwood is littered with hundreds of large broken paua (abalone) shell. 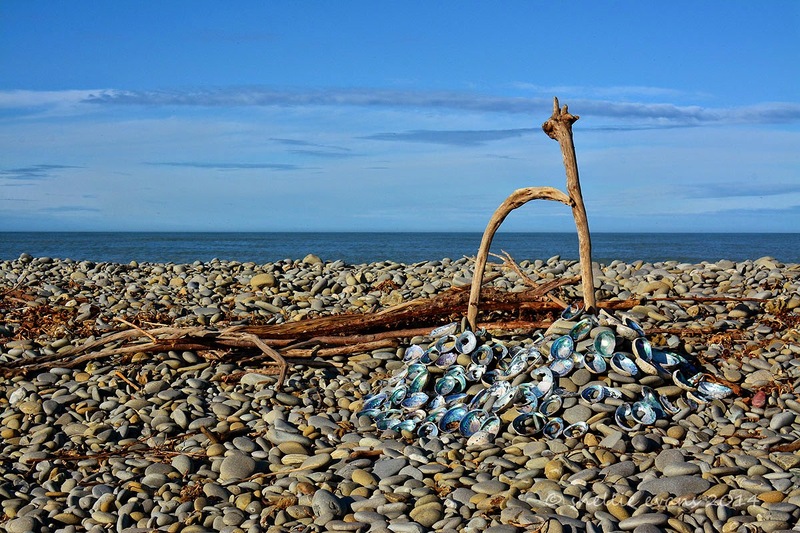 Someone has made a bit of paua & driftwood sculpture here. At the mouth we watched as hundreds of welcome swallows swooped in low over the water feeding on thousands of tiny flies. The swallows were also resting on the gravel banks but I couldn’t get in close enough before they’d all lift and move in unison down to the next ridge. 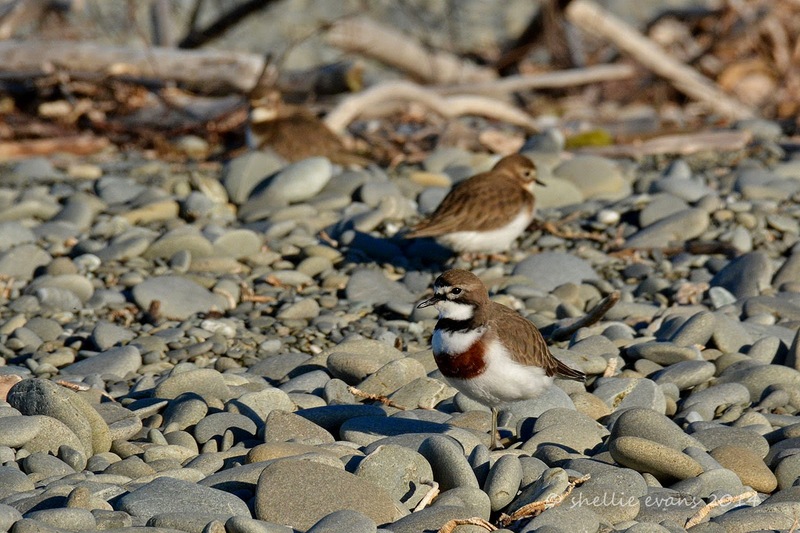 I gave up on trying to capture them but as we made our way back along the beach I caught sight of a tiny movement in amongst the gravel which revealed itself to be a male Banded Dotterel (Tuturiwhatu), he has the chestnut breast. He led me on to a couple of very well camouflaged juveniles hunkering down in the warm stones. Then as I was stalking these birds a flock of dotterels, including females & more males flew in to land not far from me. In the photo below, bottom left you can see the thousands of flies backlit in by the sun. 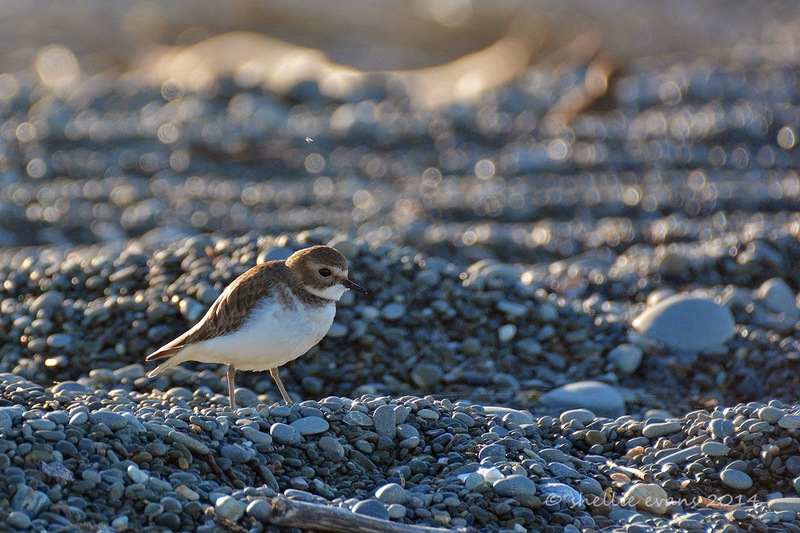 The Banded Dotterel is endemic to NZ & the most common of our small plovers although they only number around 50,000. 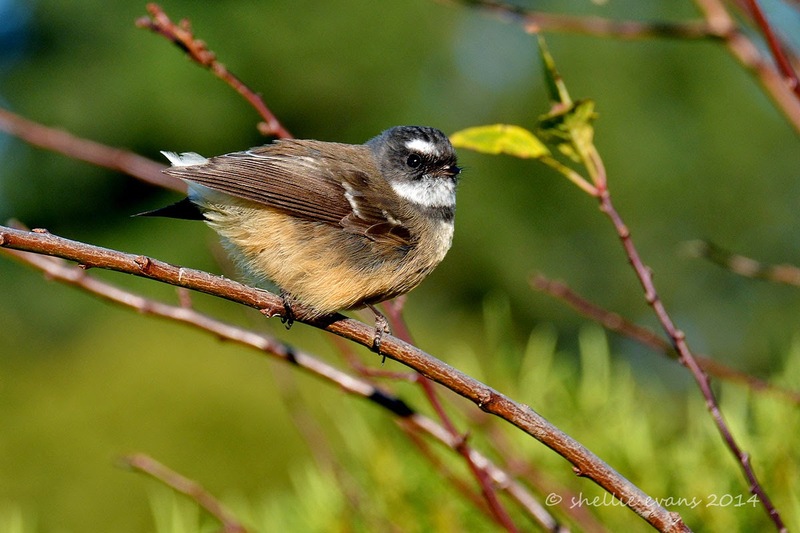 They are found on seashores, estuaries and riverbeds and are usually solitary birds but do roost together outside the breeding season. 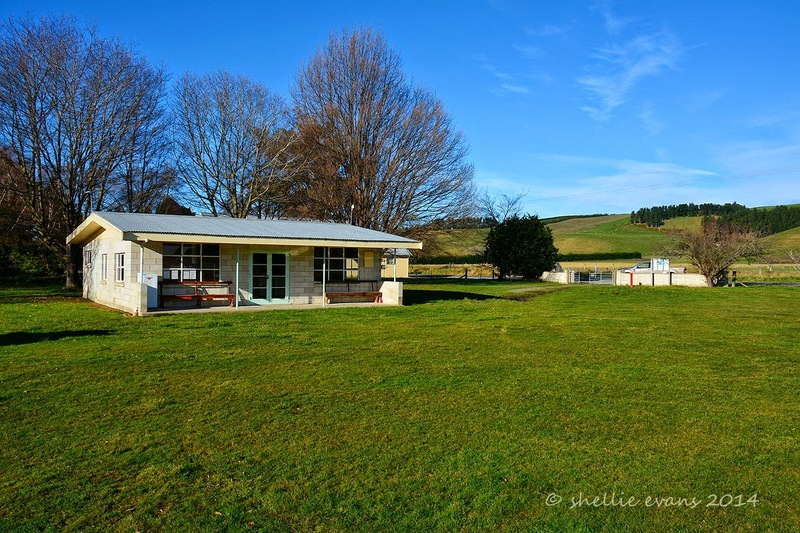 One of the reasons I had wanted to stop for a few days at Waitaki was so we could have lunch at the award winning Riverstone Kitchen which was just a couple of kilometres away on the main highway. As bad luck would have it, the restaurant closed for a two week break on the afternoon that we arrived. 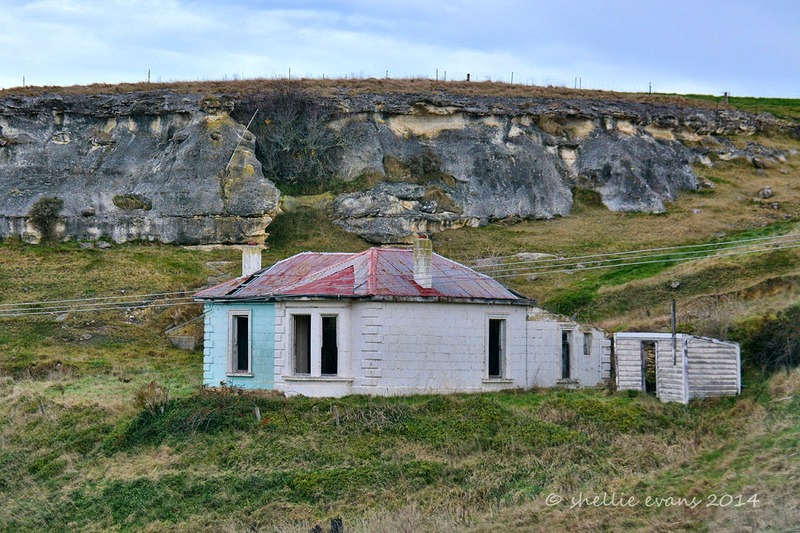 Had we not had to wait the weekend out near Dunedin we’d have been there in time. Darn! Now that lunch will have to wait until be are in the area again. 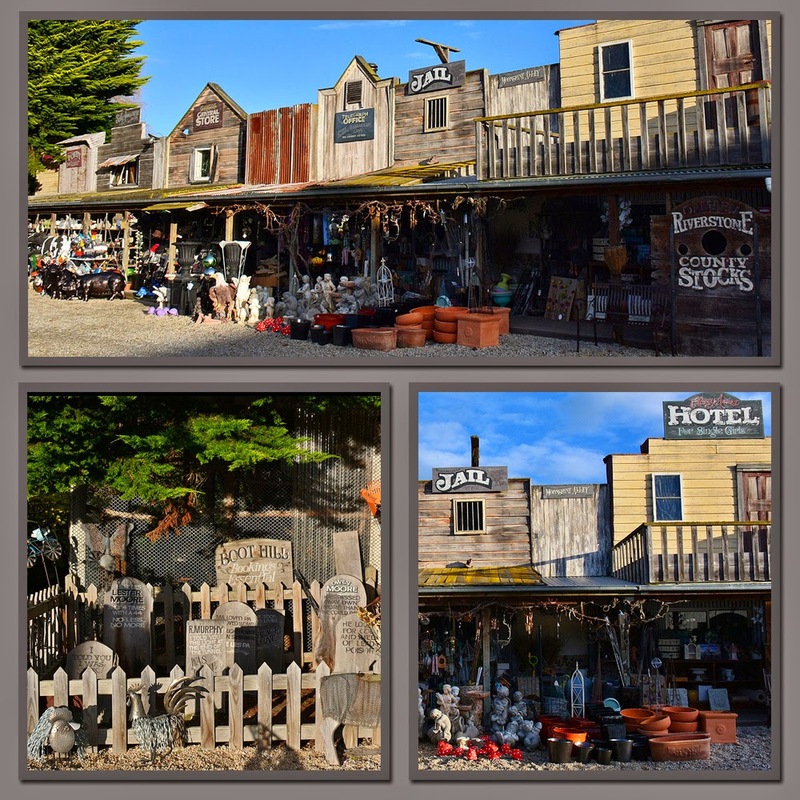 Riverstone Kitchen (above photo, bottom left) is located within a collection of quirky buildings containing the Riverstone Country Gift Shop which sells some gorgeous home & giftware. 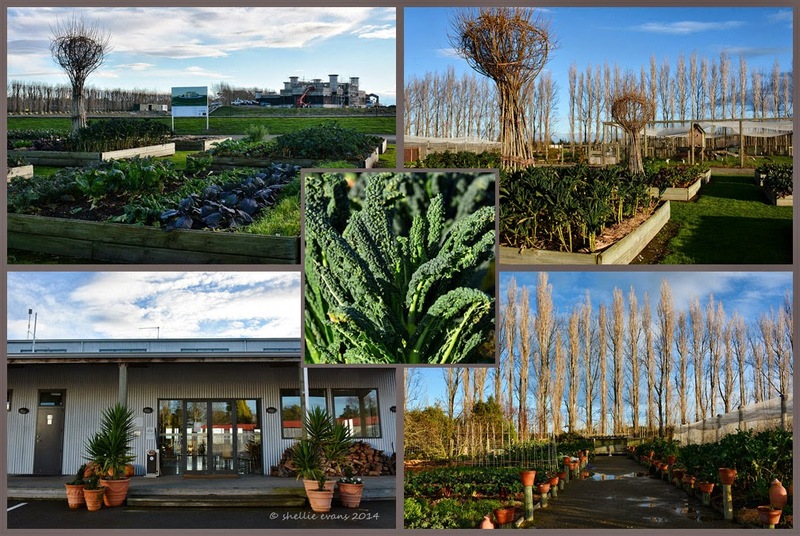 The buildings are surrounded by large organic vegetable boxes, green houses, flower gardens, a huge aviary and much, much more. This highly successful enterprise belongs to the entrepreneurial 65 year old Dot Smith, the lady with the shocking pink hair! She describes herself as ‘a woman's dream and a man's nightmare!’. 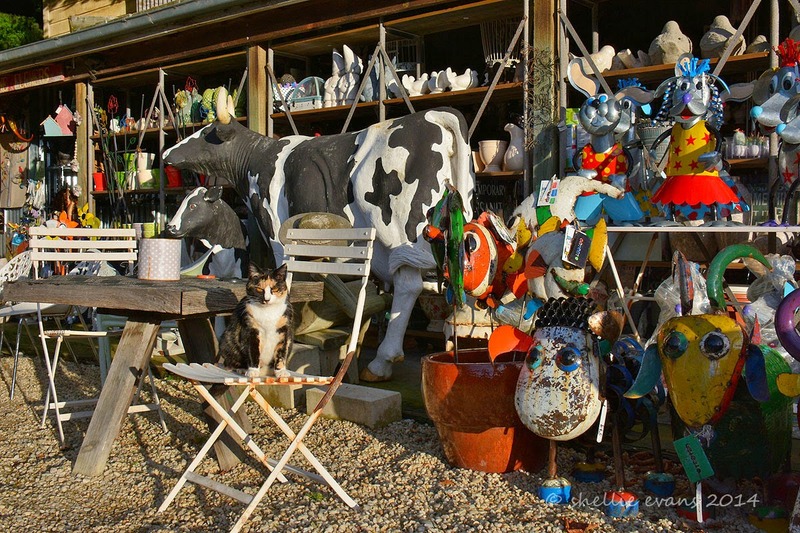 Spot the imposter…..she has whiskers! Just recently I listened to a radio interview with Dot and was taken with her enthusiasm and engaging personality. After a lifetime of hard work on their dairy farm this lady and her husband are now very successful dairy farmers with six farms and 4000 dairy cows. After initially setting up the successful Riverstone complex (a son & his wife run the restaurant), it was time to fulfil a childhood dream. 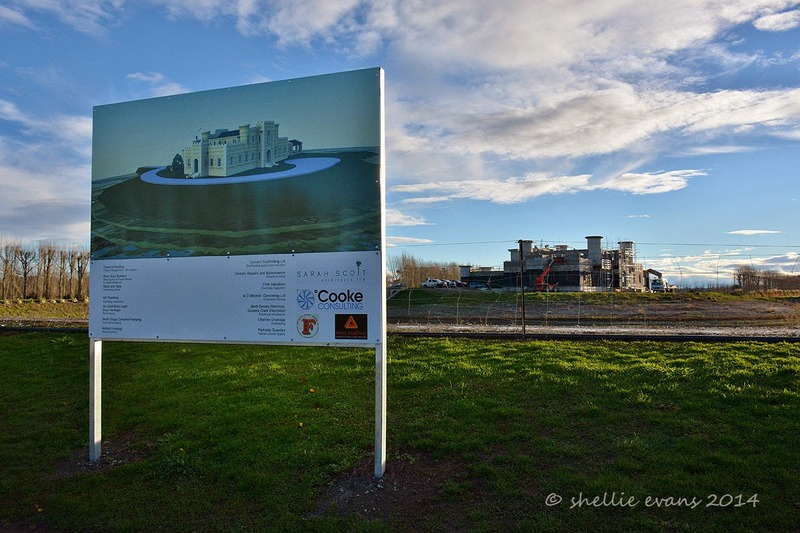 Dot is soon to become the queen of her own castle, a magnificent & huge building, set on a man-made island at Riverstone, complete with moat, dungeon, drawbridge, secret tunnels and six towers. I kid you not. Riverstone is well worth a visit just to see what can be achieved when you have a dream (and money). It’ll be another two years before Dot & her media-shy husband shift into their castle. 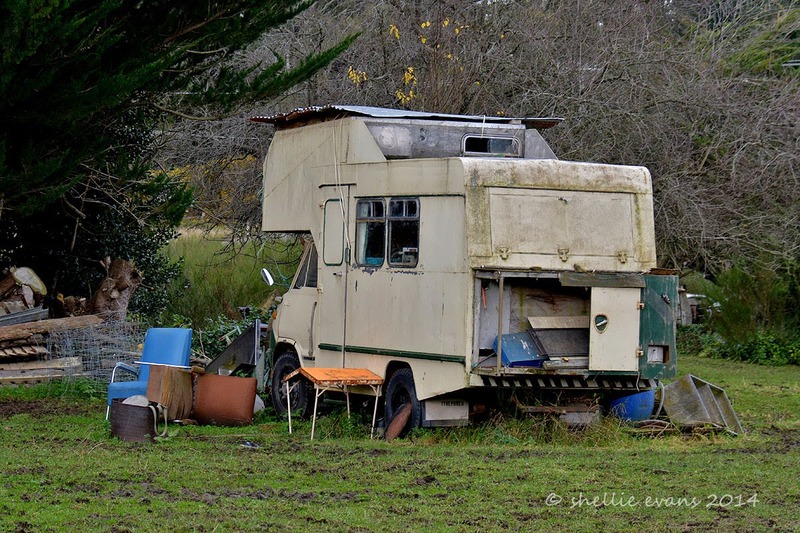 It will be the only “new home” that they have lived in. Imagine furnishing that, I’m sure the furnishing will cost as much as the building! Puts a new slant on the “Your home is your castle”. 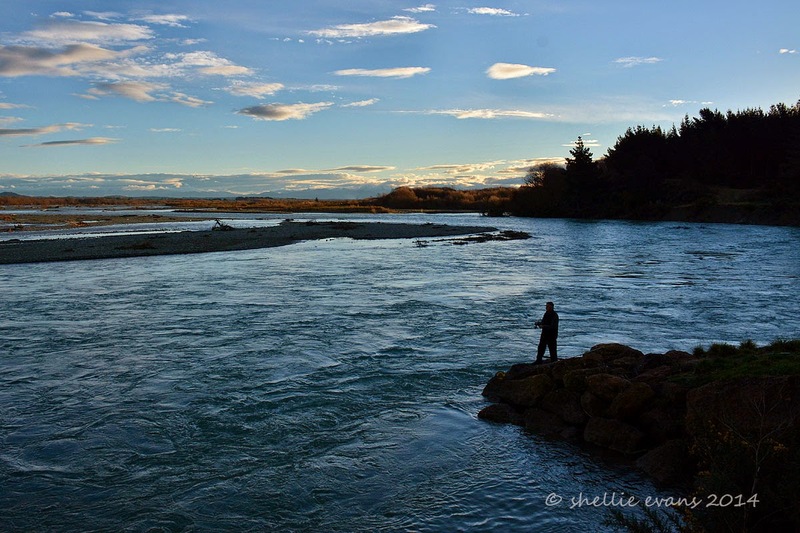 Just down the road from Riverstone was the very long Waitaki River Bridge, we stopped in a picnic area at the north end of the bridge so I could take a photo in setting sun and David decided to try his luck spinning for trout off a point just below the bridge. Once the sun disappeared it turned very cold & with no sign of any fish we headed home to the warmth of van. 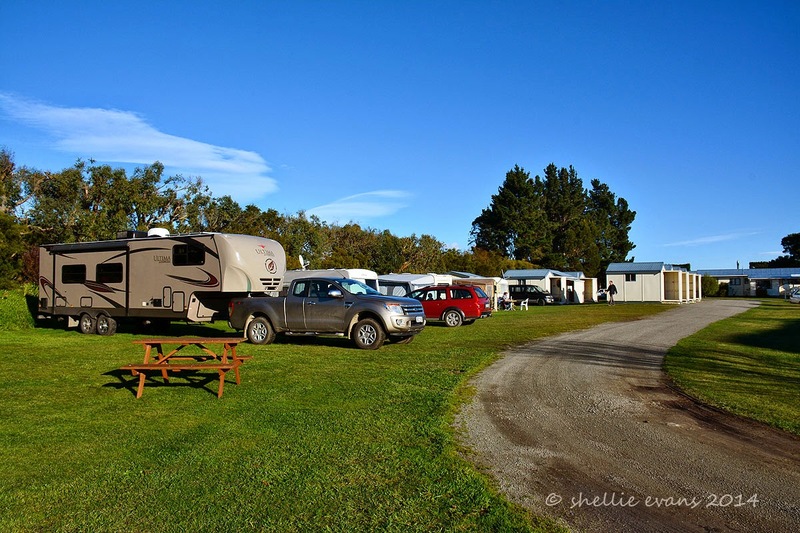 In the end we stayed on at Waitaki Waters for five nights, it was a large & well maintained camping ground with just a few permanents and the odd overnighter at this time of the year. The weather remained fine and sunny for us, we rested up for a couple of days and also did a tiki-tour inland to Duntroon. On one of the nights, we met and had drinks with a lovely English couple who had sold up in the UK and were travelling the world for the foreseeable future. 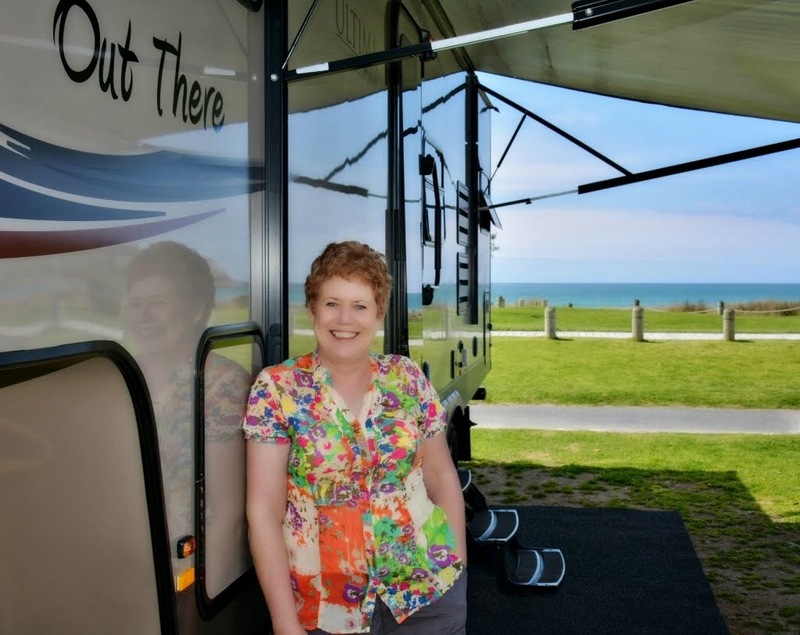 They had a motorhome and were exploring NZ for the next few months but didn’t have much of a plan. 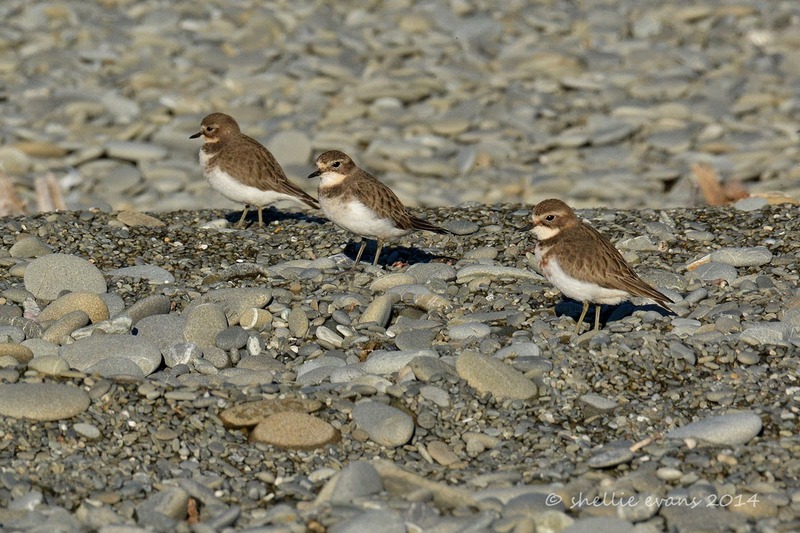 They were very happy for me to give them some advice on what to see during their next few weeks as they travelled the south of the South Island.